Welcome to Saginaw County, a place where collaboration fuels innovative business opportunities and lives are empowered by a shared vision for the future. 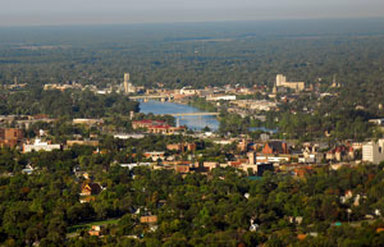 Long known for its productive agricultural lands, lively culture, solid manufacturing base and bountiful natural resources, Saginaw County offers a rich and diverse quality of life enhanced and defined by a population willing to roll up their sleeves and make things happen. Saginaw County provides friendly and affordable living for approximately 200,000 citizens who live, work, learn and play within its borders. Encompassing 810 square miles located within the heart of the Great Lakes Bay Region, Saginaw County is home to a vast system of waterways and woodlands as well as a wealth of nature preserves, trails and facilities that support a love for green spaces and active lifestyles. With a nod to its historical lumber and automotive heritage, Saginaw County uses a community-centered approach to foster education and healthcare expansion, a flourishing tourism industry and an active commitment to culture and the arts. If you're planning an event, a vacation, or a staycation, in Saginaw County and the Great Lakes Bay Region, start your visit at www.gogreat.com or call 989-752-7164.